The greatest compliment a community can receive is a company deciding to reinvest in their local operation. "IKS has been a part of the business community in Florence County for over forty years. The work ethic of our workforce (multiple generations), regional suppliers, and support from the Florence County Economic Development Partnership has made this longevity possible. Our plan is to grow and remain in Florence County for the next forty years." 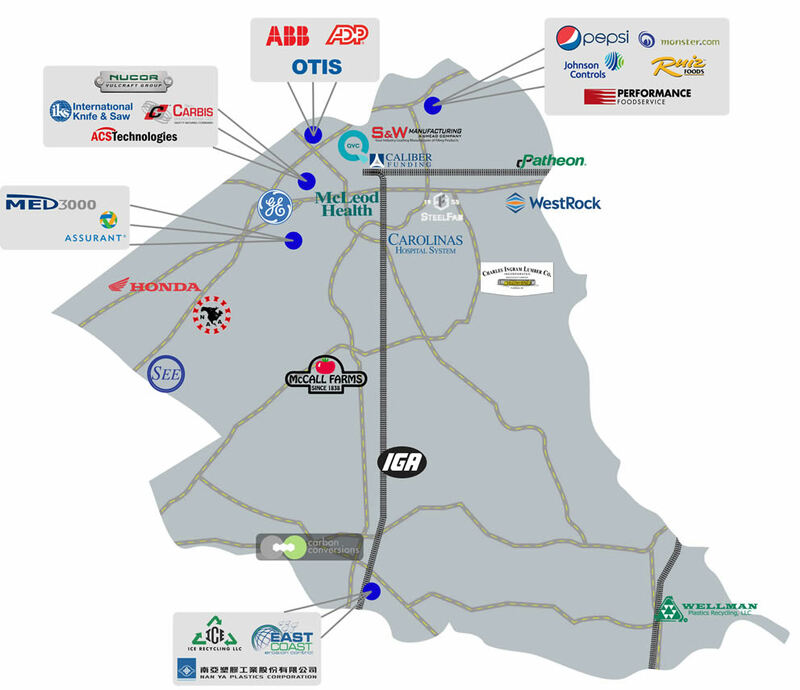 "ACS Technologies has been headquartered in Florence, SC for 40 years. With the support of the Florence County Economic Development Partnership, we’ve grown from a little start up to now the largest provider of church management software in the nation. We serve nearly 50,000 clients in every state as well as internationally. We have 400 employees nationwide, with offices located in Phoenix, AZ, Seattle, WA, and Greenville, SC. We’re thankful for our local community, our churches, and our team members for their role in helping us grow and serve the faith based community with excellence." "In recent years, we have grown the Johnson Controls presence in Florence to 350 high-skilled and hardworking employees at our Florence Recycling center and 200 employees at the Florence Distribution center. Day in, day out, they come to work to help creating more sustainable world – annually we recycle some 13 million used automotive batteries, separate them into different materials and reuse majority of the material when manufacturing new batteries. To do this right, we need skilled and motivated employees, and we found them in Florence. We are very proud of our employees, our plant and the community around us. We will make this the best recycling plant in the world." "As a frozen food manufacturer, Ruiz Foods is committed to producing great tasting products that bring value and convenience to today’s consumer. Our Florence manufacturing facility and distribution warehouse makes it possible for us to service the fast-growing East Coast demand for our El Monterey and Tornados products. The community understands the importance of business development and the Florence County Economic Development Partnership continues to help us in becoming a proud part of the Florence community." Rachel P. Cullen, President & CEO of Ruiz Food Products, Inc.